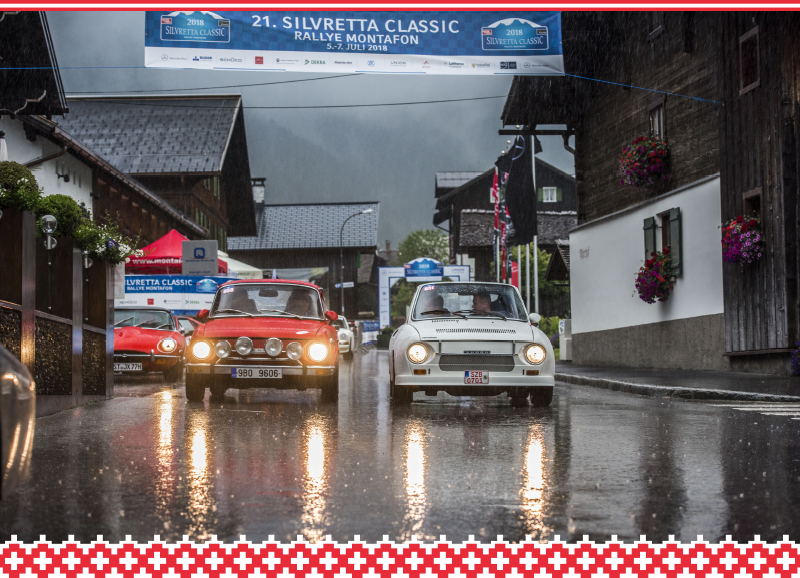 Two ŠKODAs completed the demanding route of the Silvretta Classic Rally Montafon 2018, covering 650 km in arduous Alpine conditions. 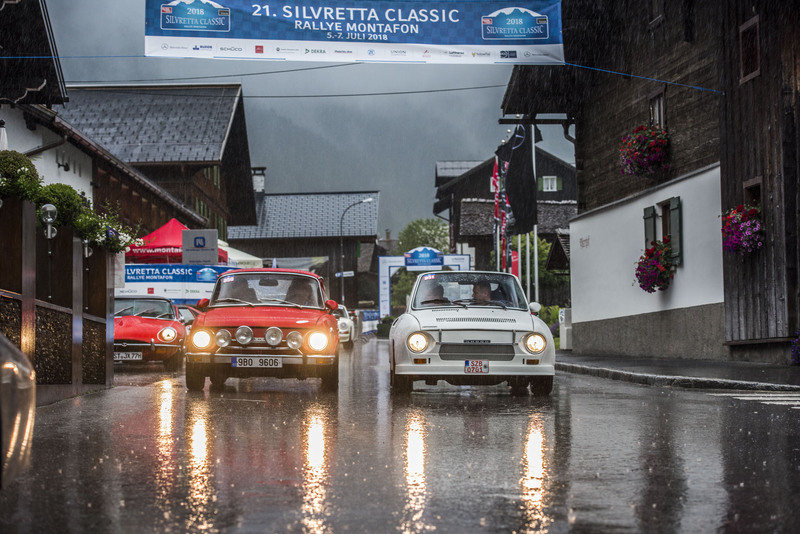 In keeping with tradition, in early July some two hundred vintage cars set off along the roads on the border between Austria and Switzerland. 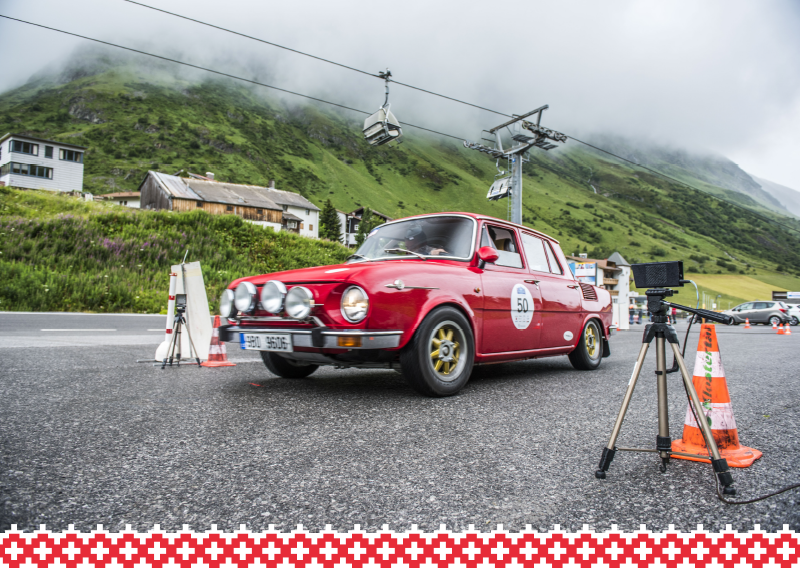 During the rally, these classic cars climbed to elevations of 2,315 m as they tackled the narrow mountain roads. 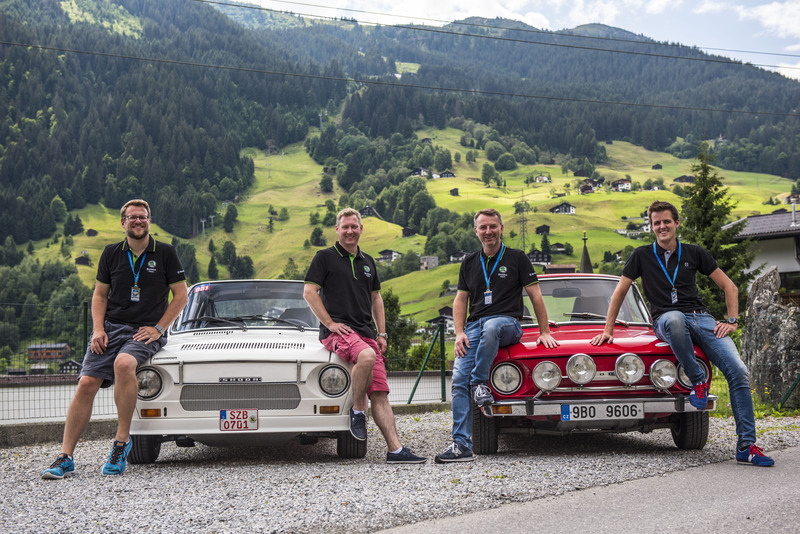 This year, the ŠKODA Classic team entered two sports cars from the 1970s. 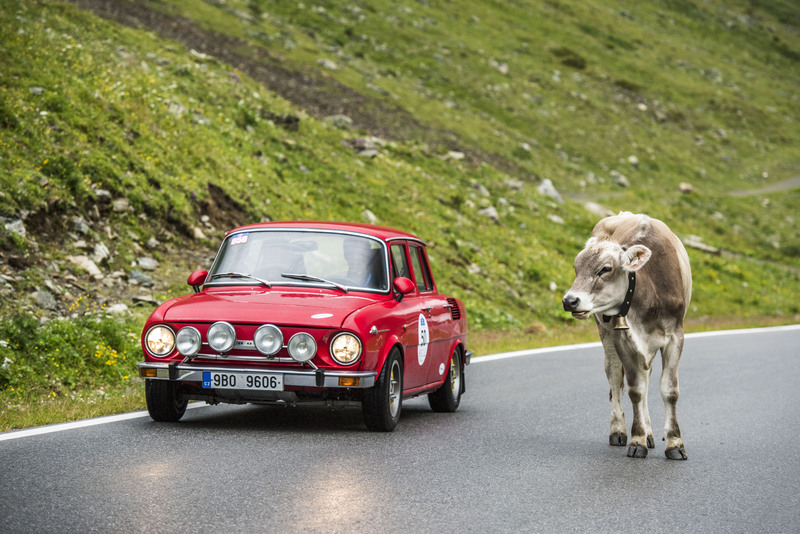 The red ŠKODA 100 L Rallye sedan was made in 1970. 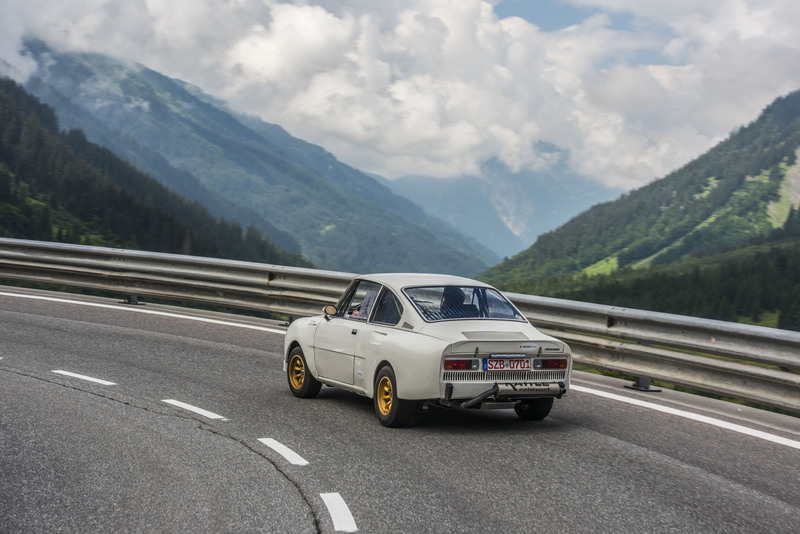 This car, with rear wheels featuring alloy rims, a sporty three-spoke steering wheel and Recaro anatomical seats, is powered by a rear-mounted one-litre, four-cylinder engine. 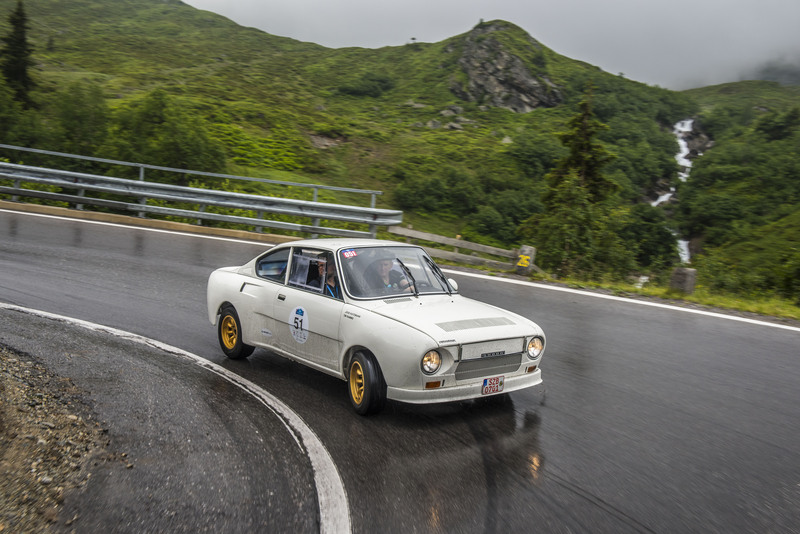 The ŠKODA factory team’s other entry was a true legend of motorsport in the 1970s and 1980s – the ŠKODA 130 RS coupé. 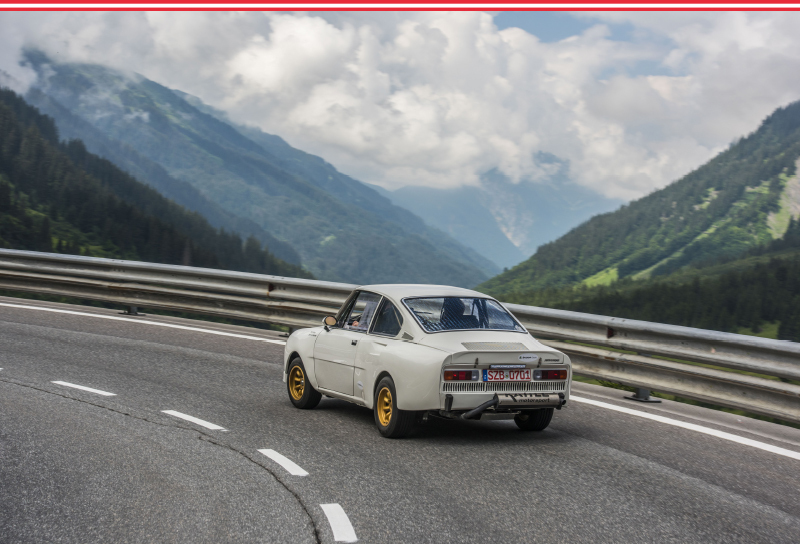 This white beauty from 1978 has a top speed of 210 km/h. Find out how it handles here. 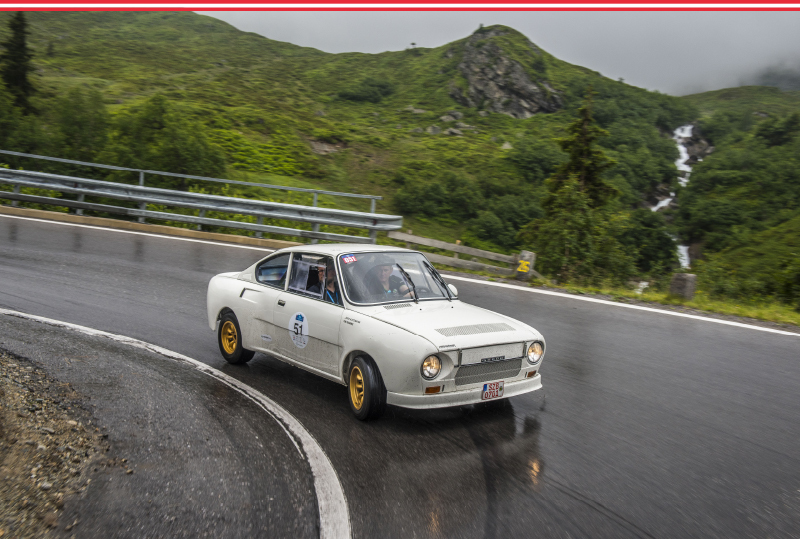 The cold, rainy weather compounded the raw Alpine atmosphere and, sitting in this sporty rear-wheeler, with the windows constantly fogging up, we had this authentic sense of what it must have been like for rally drivers in the 1970s. 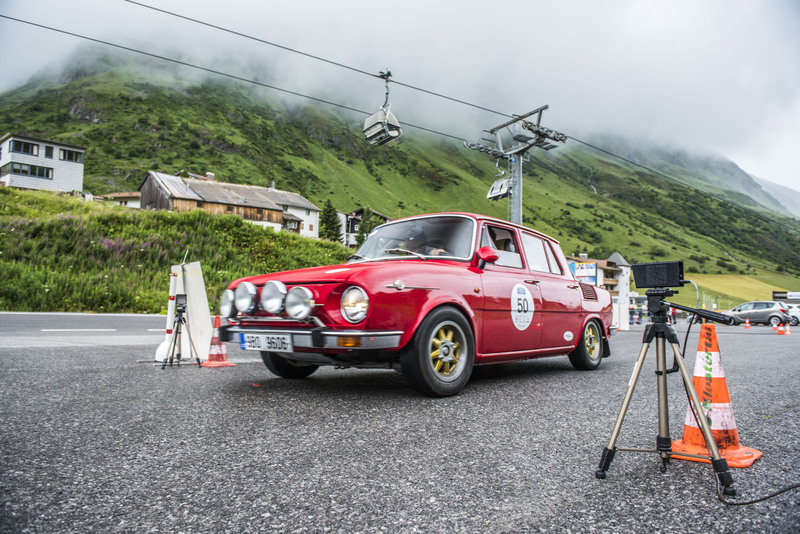 “I was looking forward to this event like a little kid and I have to say that its quality has exceeded my expectations,” says Michal Borský, the Czech automotive journalist and driver of the ŠKODA 100 L Rallye. 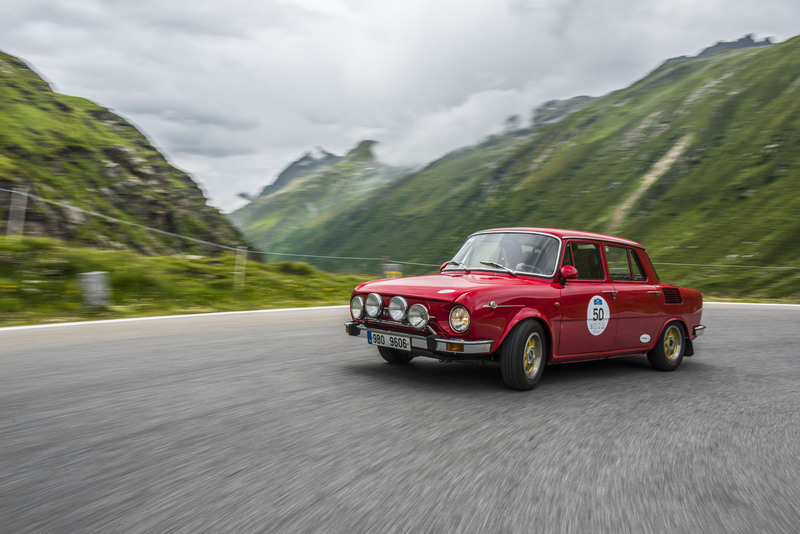 “The cold, rainy weather compounded the raw Alpine atmosphere and, sitting in this sporty rear-wheeler, with the windows constantly fogging up, we had this authentic sense of what it must have been like for rally drivers in the 1970s,” he says as he describes the atmosphere in the car. 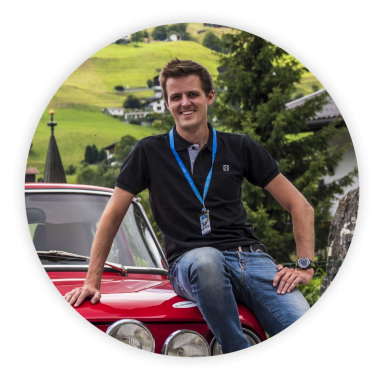 The crew of the white RS comprised Tim Ramms, the German automotive journalist, and Jens Katemann, head of communications at ŠKODA. 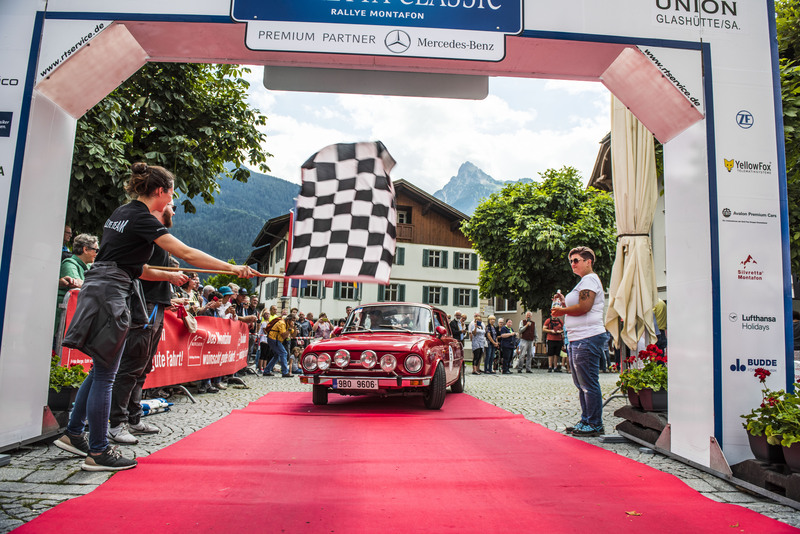 Drawing on their experience and excellent coordination with the car, they achieved an impressive sixth position in the overall standings. 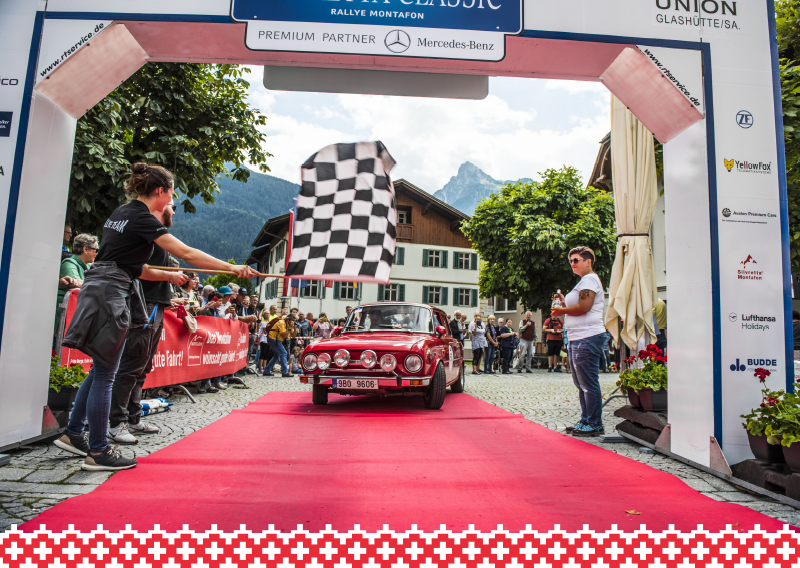 A special format is used for vintage races. 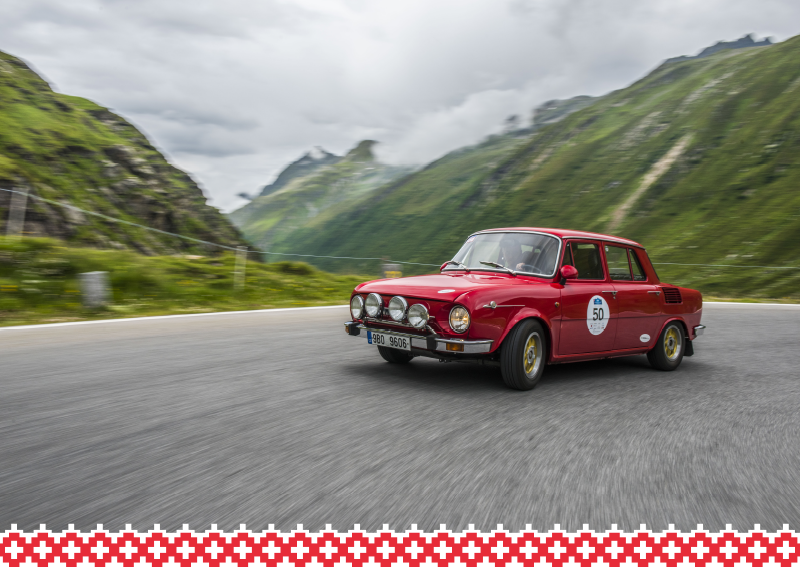 It is not about a car’s speed, but about its regularity and the greatest possible precision, hence the name given to these races – “regularity rallies”. The aim is to cover individual stages in a precisely set time and to excel in precision trials that can last anywhere from a few dozen metres to tens of kilometres. 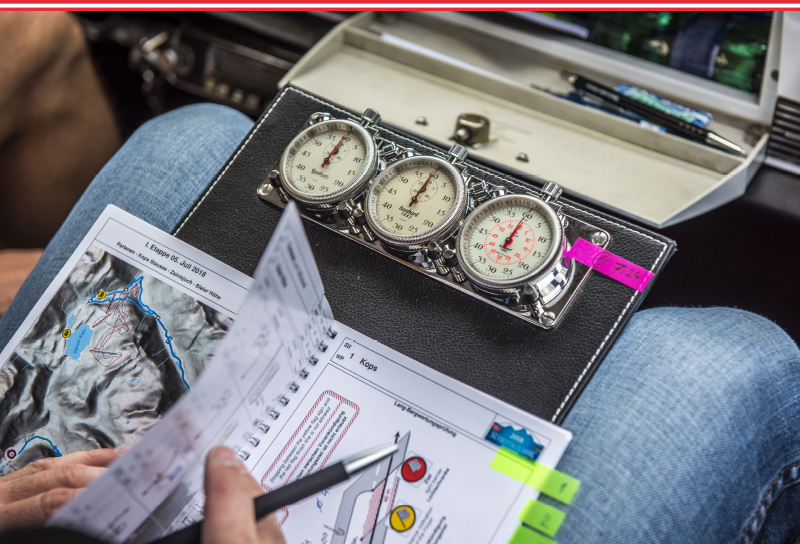 In these speed trials, being one hundredth of a second out of the required time is punished with penalty points. 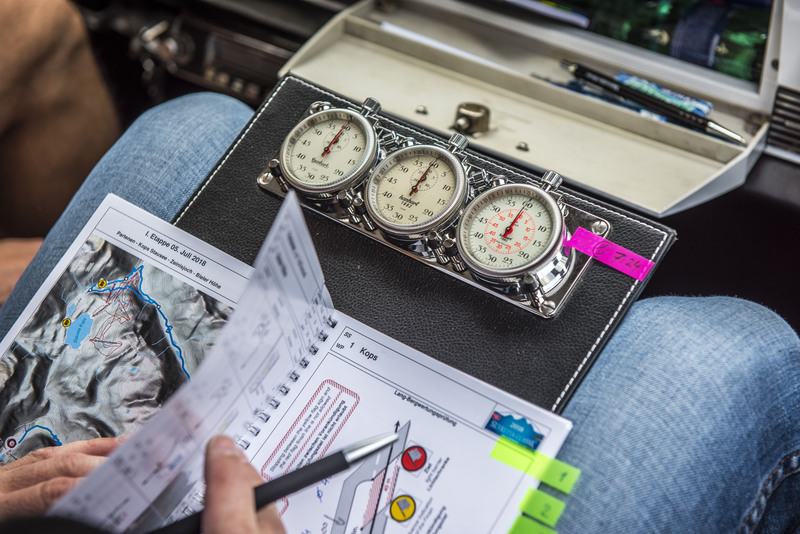 Consequently, crews cannot let up as they keep track of the time and calculate and recalculate their average speed. Their most faithful friend in the cockpit is a stopwatch.